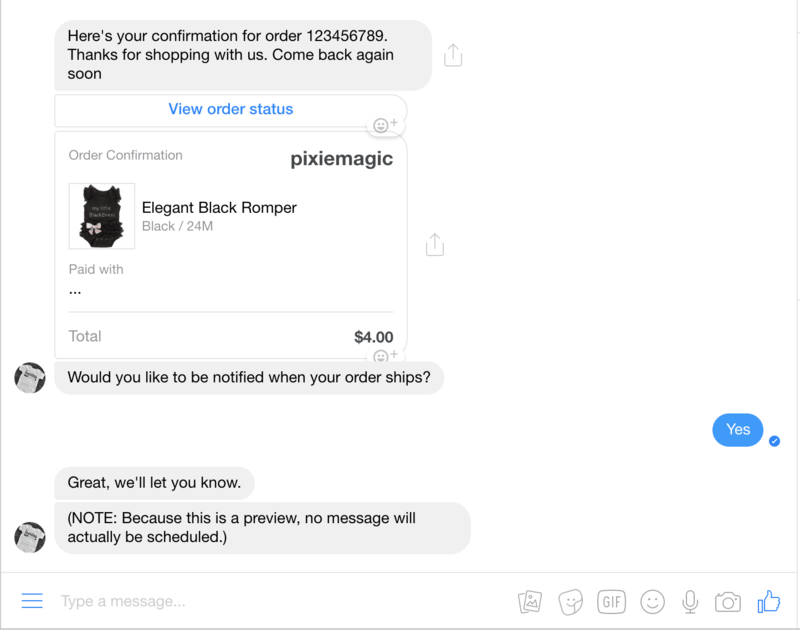 With our Shopify integration, you can send messages to customers who opted in on your store and have completed purchase. They can have opted in through the checkbox, discount pop-up, or any of our store widgets. 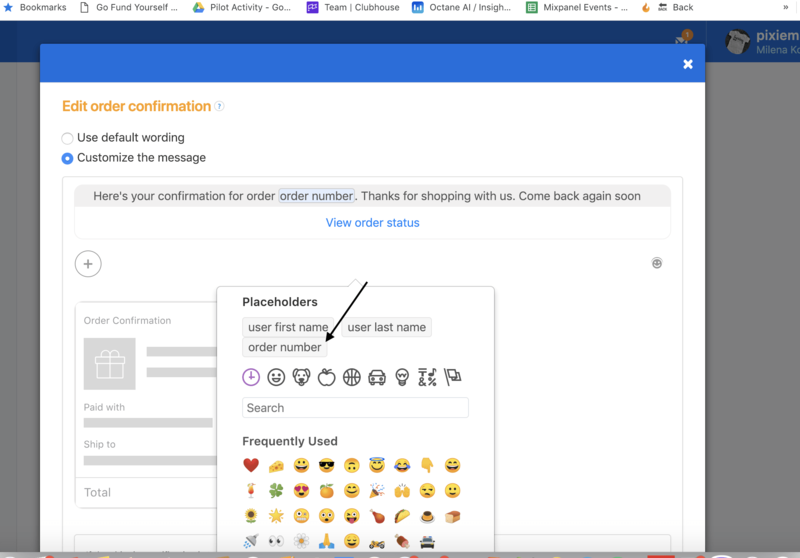 When they purchase, they will get an order confirmation that you can customize. It will ask them if they want to receive an update when their order ships as well. 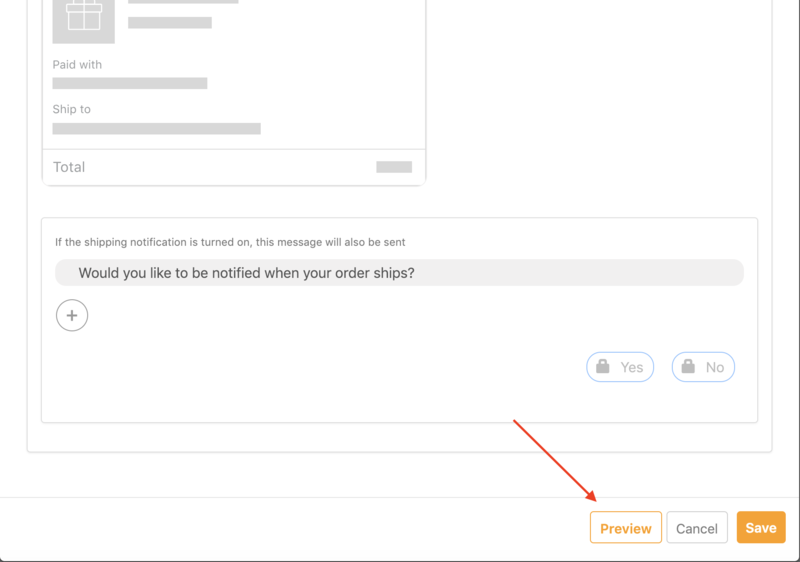 If they say yes to the shipping update then, when you mark the item as fulfilled in Shopify, they will get an update. By clicking on View order status they can see all order info with shipment tracking number. 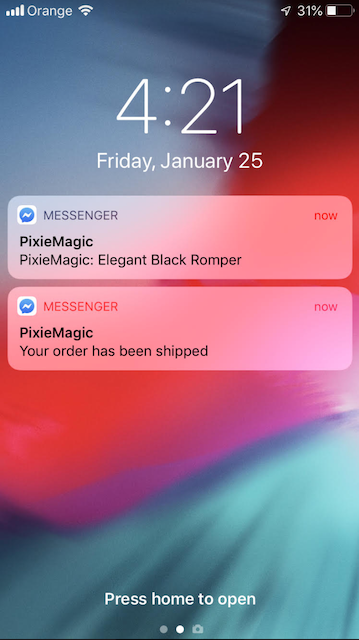 How do I customize the order confirmations and shipping notifications? In the editor select "Customize the message" then edit the message as you would like and click "Save." How do I add the "Order number" variable? How can I preview my changes? 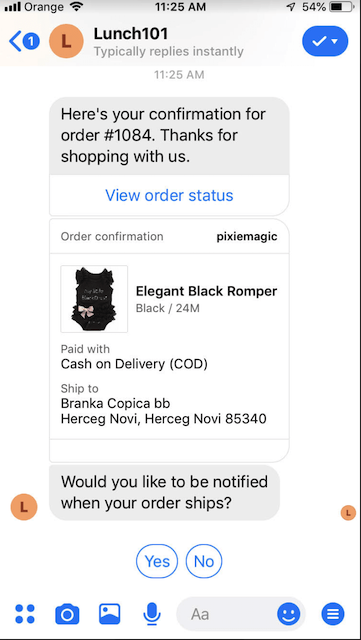 In order to preview how your order confirmation and shipping notification will look for your customers on Messenger, click on the preview button at the bottom of the editor and select one of your products that you wish to see in the preview. Your live preview will open in a new tab in Messenger. *Note: since this is just a preview it will be a fake order number and no shipping messages will be scheduled from your order confirmation. 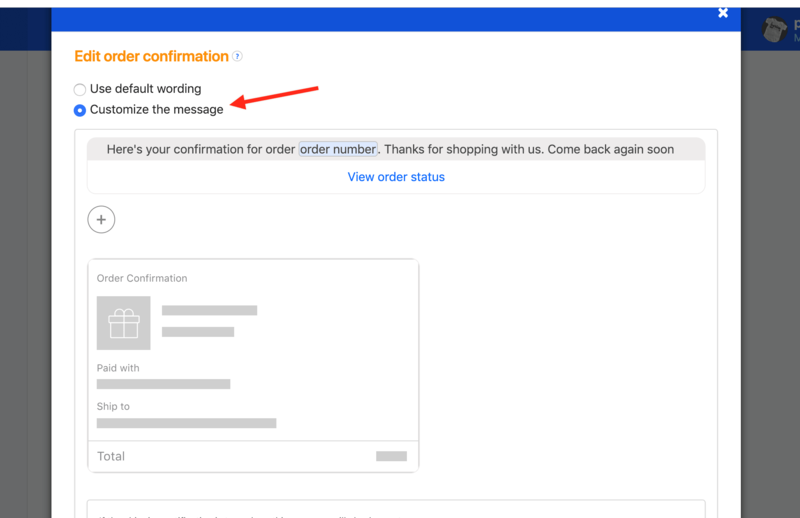 Similarly, the order status page link will simply go to example.com since there is no real order.